After a year of amazing adventures, sweet singletrack and exciting weekends away from tar and cement, the Salsa Moto Rapido is for sale. The bike is in excellent condition and I don’t really want to clear up any room in the shed, but I plan to do more longer races in 2010 and dual suspension will be suited to this purpose. The Salsa is a light, fun ride. It feels really stable at speed, gives you lots of cornering confidence and accelerates like you wouldn’t believe. It’s also shiny and unique, meaning people tend to like coming up to you to talk about it. 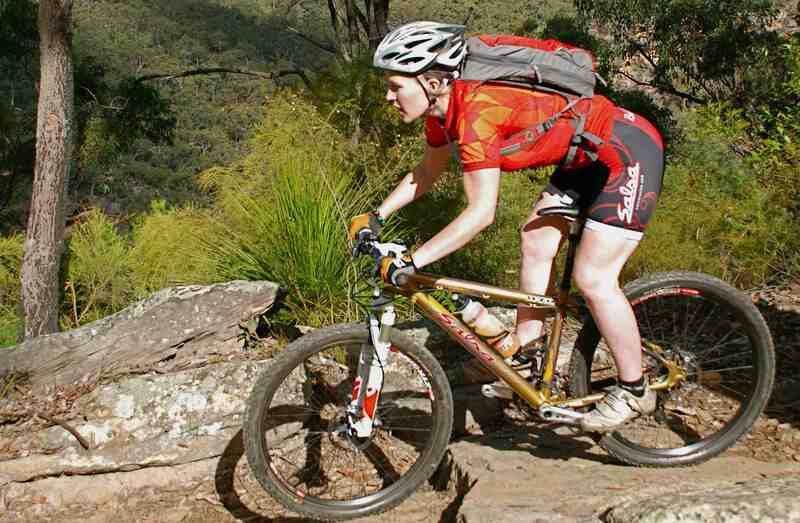 Ad details are on the Canberra Off-Road Cyclists sale page.